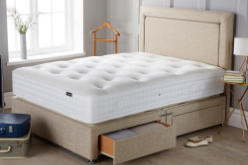 Combining a quality 1500 pocket spring unit with a deep talalay latex comfort layer. Mixing both progressive comfort with traditional support. A medium firmer edge progressive feel. 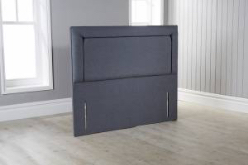 We have added this model to our site to show you that if you are looking at memory Foam pocket sprung mattresses we can offer a far superior latex model for a comparable – if not lower price. This is also the model whereby you can break away from polyester as a primary comfort layer. 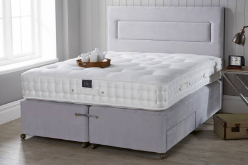 The surface is micro quilted with a soft knit fabric providing a flat and comfortable sleep surface. Giving the top side a soft feel. 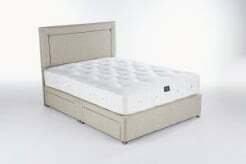 The mattress features machine stitched handles and is also detailed with three rows of machine side stitching. First Layer: One inch HD Foam: directly on top of the spring unit (as the insulator). This is a more forgiving component which moves with the spring unit. Third Layer: 3cm White Talalay 60/40 Latex: Having two layers of latex is fundamentally better than using one layer of 6cm depth. Fourth Layer: 300 gsm Wool Silk blend pad: directly beneath the fabric which gives a slight cushion on top of the latex. 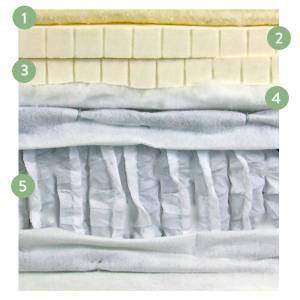 We have spent many months sourcing the best latex we can possibly find in order to retail this mattress at this particularly low price point. The secrecy behind Latex as a product means it is often impossible to accurately compare to competitors, who give no density or blend information. 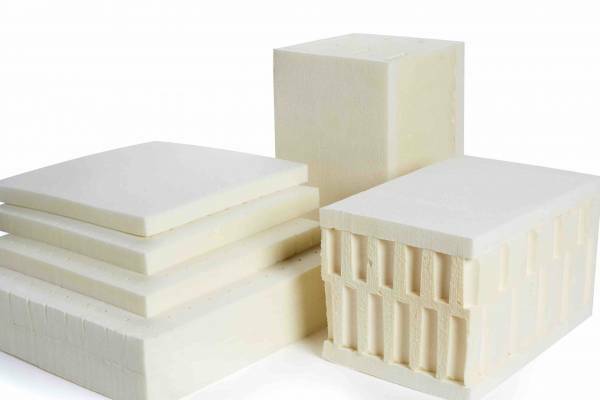 We have placed 6cm of latex in this particular product and that is well above the norm. When doing comparisons from ANY manufacturer the only aspects for adequate comparison will be the type and depth of latex actually used and in our research we have found that many manufacturers will not tell you these simple but most fundamental details!! In order to carry out any kind of like for like comparison you really do have to know. We aim to complete all deliveries within 30 days of receiving your order. Deliveries are carried out by two-man courier to the room of your choice. As soon as the courier company receives your order from us, they will call you direct to arrange a convenient delivery date. We do not charge for any UK mainland deliveries or returns. Some areas in Scotland and The Highlands may incur an additional charge. Please call us for more details on delivery. Deliveries will be pre-arranged by phone with a time slot between 0800 – 20.00 Monday – Friday. You will also be called on the day of delivery. Please ensure you give us as many contact numbers as possible when placing your order. If within 60 days you are not entirely happy with the product then call us and we will arrange to have it collected and refund you in full. We do ask that you give your new mattress a minimum of 30 days before requesting an exchange or refund. 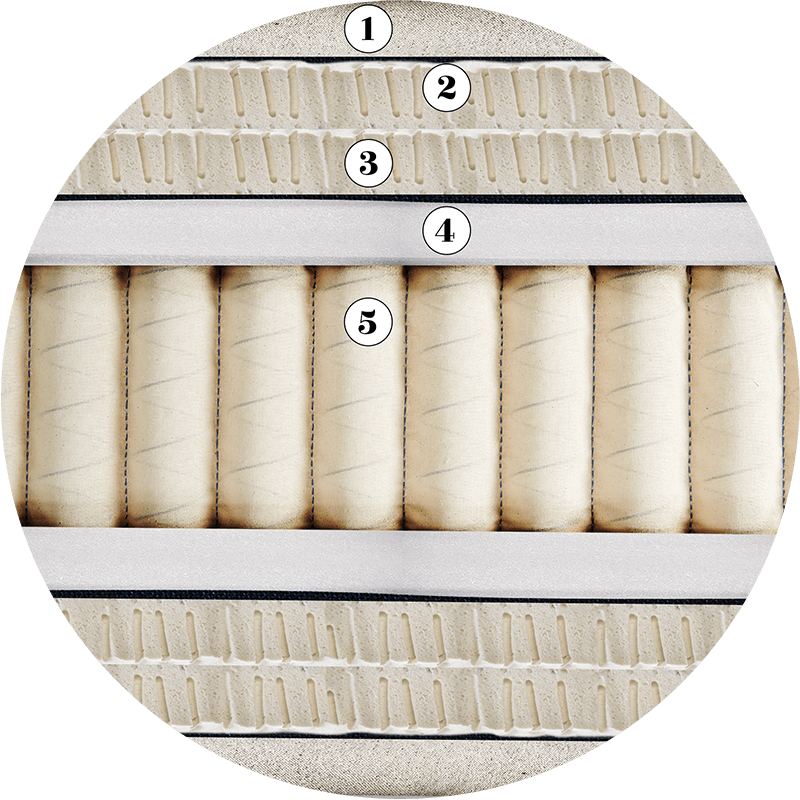 It can take 4-5 weeks to get fully accustomed to your new mattress. 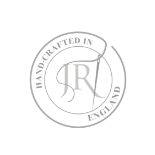 We have all our mattresses built to our precise specifications and therefore we can personally guarantee each model for a period of time. Each model carries the guarantee timescale at the bottom of the individual listing. This is described as ‘Full Repair or Replace’. Read our full Delivery & Guarantee guidance here.